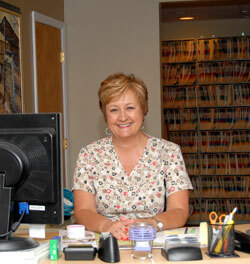 Phyllis is more than happy to answer any of your billing questions. New patent’s remark how “homey” our office is. You won’t find a front desk with sliding glass doors. We have a wide open design and you will feel welcome and comfortable. After your paperwork is completed you will see Dr. Jones within 10 minutes. Dr. Jones will take your history and discuss your health care goals. If you are accepted as a new patient we will place you in the exam room and Sherri will take your blood pressure. If indicated X-rays will be obtained. After X-rays are completed, Dr. Jones will review the X-rays and then examine your area of complaint. If indicated, Dr. Jones will perform an adjustment. 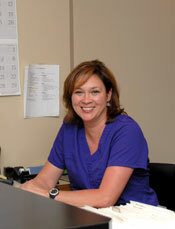 We like to have you return the next day and review your x-rays and exam results in detail. At this time we will set some goals, and lay out a treatment plan that will allow you to get back to health. Plan on the first day taking 45-60 minutes. The purpose of your consultation with the Dr. Jones is to discuss your health goals and see if chiropractic care is likely to help you. If it looks promising, a thorough examination will help identify the cause of your problem.